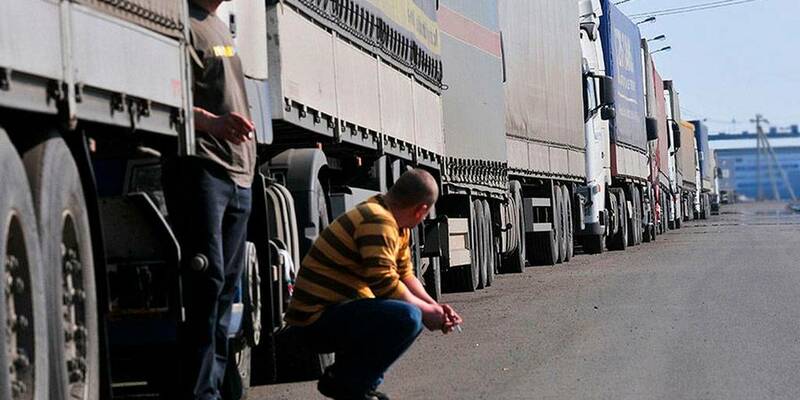 The Ministry of transport has developed a bill that proposes to give Rostransnadzor the authority to control the movement of large or heavy transport on Federal highways, and to control the movement of heavy trucks on roads of inter-municipal, regional and local importance will be the authorities of the regions. This draft law is published on the portal of draft normative legal acts. Changes are proposed to the administrative code. It is a question of powers on consideration of cases of violation of the rules of movement of heavy loads. The explanatory note notes that the project was prepared in the framework of improving the weight and size control of the vehicle. As part of the execution of the may decree of Vladimir Putin, it is planned to place 387 points of automatic weight and size control on Federal highways, as well as to install 366 such points on roads of inter-municipal or regional importance. In this regard, it is necessary to improve and strengthen control over the movement of heavy trucks, the authors of the project say. At the moment, the police, Rostransnadzor and customs authorities can consider cases of offenses in this area. At the same time, the latter agencies do not have the right to consider such cases in cases where the offenses were recorded by road cameras and other specialized devices with the option of photo or video shooting. As the authors say, the Ministry of internal Affairs adheres to the position that the functions of administering violations of the weight and size parameters of transport are unusual for the police. In this regard, it is proposed to give Rostransnadzor the authority to consider cases of these violations, including if they were recorded by special devices. Thus, according to the text of the draft, the police will no longer exercise control in this area. Among other things, in connection with the installation of weight and size control points on the roads of inter-municipal, regional and local importance, the document proposes to empower regional Executive authorities to consider such cases. «Based on these changes, the powers to control the movement of heavy and oversized vehicles on highways of Federal value it is proposed to empower the Federal Agency for transport supervision, and in all other cases, the Executive bodies of the constituent entities of the Russian Federation», — stated in the explanatory note to the draft. The proposed changes will encourage truck drivers to comply with the law, the authors note. It is emphasized that for the implementation of the powers of Rostransnadzor stipulated by the draft law, it will be necessary to increase the limit number of employees of the relevant Department, as well as the amount of allocated budget funds.